Source: The Budget-Friendly Fresh and Local Diabetes Cookbook. Recipe Credit: Charles Mattocks. Photo Credit: Renee Comet. Wash tomatoes and cut in half. Scoop out the pulp and seeds, leaving about a 1/2-inch rim of tomato. Place cut-side up in a greased glass baking dish. Sprinkle each tomato half with pepper and cumin. 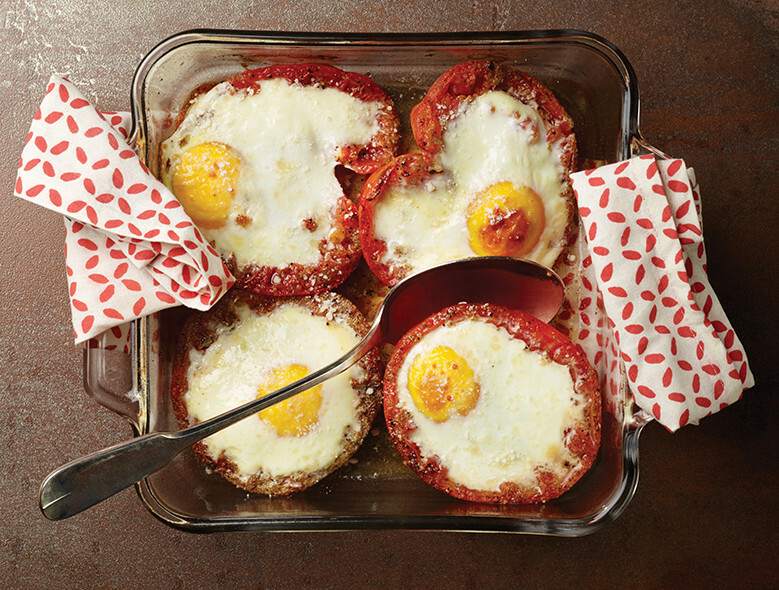 Break an egg into each tomato “shell.” Sprinkle each egg with 1/2 tsp of the cheese. Bake until the eggs are set, roughly 25 minutes.